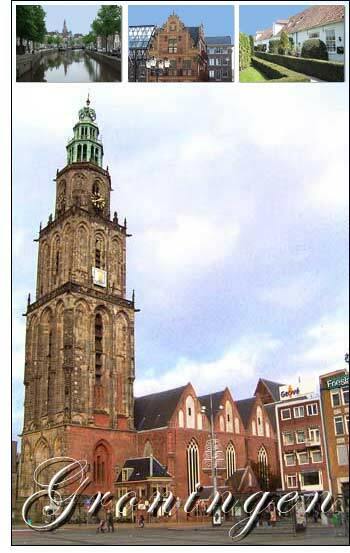 The city of Groningen lies in the north of The Netherlands in the province with the same name, Groningen. The city is capital of this province. The city has a population of about 180,000 inhabitants. The city houses the Groningen University and has a large student population, making it a vibrant city with a good nightlife. In 1994 the "Groninger Museum" was opened, designed by the famous architects Mendini, Himmelblau and Starck. It is a modern building and the museum houses expositions of mostly modern art.